On Site Massage Serving the Metro Atlanta Area. 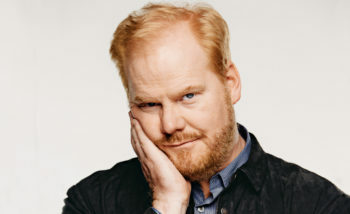 Jim Gaffigan’s neck is still a little sore. As I tend to sit on Sunday mornings, I was watching my favorite show CBS Sunday Morning. Toward the end of the program, an opinion piece by Jim Gaffigan was being teased for the next segment, on how he feels about getting a massage and massage therapy in general. As a therapist, I naturally perked up, and waited, with anticipation, what he was going to say. He’s a comedian, after all; this should be funny. As I sat and listened to his opinion, I was horrified by what he said. He compared massage therapist’s appearance to “an orderly in a mental ward”. According to him, we are emotionless people who a) like to rub strangers for money and b) murderers. Now, I understand that he’s a comedian, and it’s HIS opinion, but I’m sure he isn’t alone. As of October 2016, only “19 percent of consumers surveyed reported receiving a massage from a professional massage therapist in the past year.” (AMTA Consumer Survey) I know I can’t change everyone’s mind, but I can challenge his opinion with knowledge from the other side of the table. “Massages are decadent and weird.”– If you expect an excellent massage for a small amount of money, you may be in for a disheartening experience. Not only are you paying in part for the therapist’s experience by the way of consistent training and classes, you are paying for treatment or relaxation, depending on the wants of the client. If you are not getting either, please speak up. We cannot read your mind; we can read some body language, to a degree. “They are always from strangers” – If you don’t have a person that gets massages, find a person that gets massages. They tend to know WHO to go to, to make sure that you have at least a good massage session. If that doesn’t work for you, massage referral services are a great way to find out who you want to get a massage from. The American Massage Therapy Association® (AMTA®) has a massage locator service called FindaMassageTherapist.org. Associated Bodywork and Massage Professionals (ABMP) has their own Massage Therapist Locator service, as well. 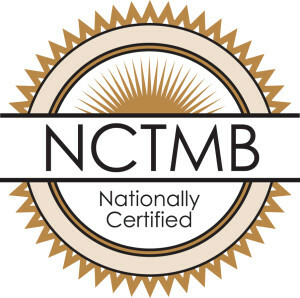 Both pages have therapist’s background information, such as licensing, specialties, environments that they work in, and the areas they serve. Massage therapists have a code of ethics that they have to follow to belong to each association. Their contact information is there; call the therapist and ask questions about the session you would like to get. “We get massages from strangers because we can’t count on the people who love us to touch us.”- Positive touch is something humans have been craving since humans walked the earth. The problem is, not everyone knows (or wants to know) how to give a massage to their partner. To some, it’s a little too touchy feely, or they don’t think they would give a good one. Body image issues can be a reason as to why one doesn’t get a massage from a stranger. “What will they think my body?” That’s what a Couples Instructional Massage session is for. You learn how to work with what you have to give a massage to your partner. It’s one of the best kinds of sessions to have because it gives you a little more confidence in how to take care of your partner. “… why don’t I get in the most vulnerable position I can think of?” While I can understand that being in a state of undress can stress folks out with someone they are unfamiliar with, you do realize that YOU, the client are the most POWERFUL person in the room. You can ask for more or less pressure. You can ask as to why the therapist is working in that spot, even though you mentioned it hurt somewhere else. Sy Syms, an awesome businessman once said, “An educated consumer is our best customer.” ASK those questions about your massage session. Ask them before, during and after, if necessary; that’ll cover your “I don’t know what to say!” portion of the session. If you’d prefer a quiet session, convey that to the therapist. Chatting helps the stress level lower somewhat. Oftentimes, once you turn over, you tend to fall asleep. If you feel extremely uncomfortable, and you’d like them to stop, say something. One client on my table clamped her arm to her side because I was about to work on her arm, exposing her unshaven armpit. I replied to her that it’s not an issue for me; I didn’t have a problem with it. With that understanding that I had no opinion about her choice to not shave, she relaxed her arm, and the massage continued with a relaxing pace. We want you to be relaxed so that you can have the best session possible. “What do we know about massage therapists? They like to rub strangers for money while they listen to the “Avatar” soundtrack. That’s a red flag. Those are the traits of a serial killer.” As a kid, I was told that I had such nice hands for massage, I should go into doing massage. I was 8; I wasn’t comfortable with my own body, much less touching anyone else’s aside from my own Nana and Aunts. It put me off from doing massage for years after. I wouldn’t say that we like to rub strangers for money. 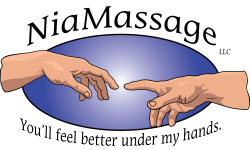 I would say that we like to get a person back to a sense of well-being through positive touch. As for the “Avatar” soundtrack, I’ve never seen the movie (That may be a red flag in and of itself, but that’s another story.). Not everyone likes the sounds of the Blue Whale. Enya, though relaxing can become repetitive to therapists, and the sounds of running water make me want to use the restroom. In some cases, the client brings the music they want to listen to, sometimes, I do. I try not being boring with the music, as that’s as important as the massage itself. “They never laugh. You know why? ‘Cause they’re busy imagining making a suit out of my skin. ’cause they’re murderers! They already put the lotion in the basket.” I’ve been accused of laughing too much; I have rather interesting clients come across my chair and table. As far as references to being Buffalo Bill from “The Silence of the Lambs”, EW, no! Please keep the dermis you came in with; it looks so good on you. Now, with all that being said, I may not have changed his mind or yours. I really do hope that this post has given you something to think about and resources to use in order to have a better massage experience. I’d really love to work with Jim about his issue; it can sometimes feel like a real pain in the neck.